Diversity Facilitators continue promoting campus unity and respect for diversity throughout the year, in part, via the “Dialogues on Diversity” series. 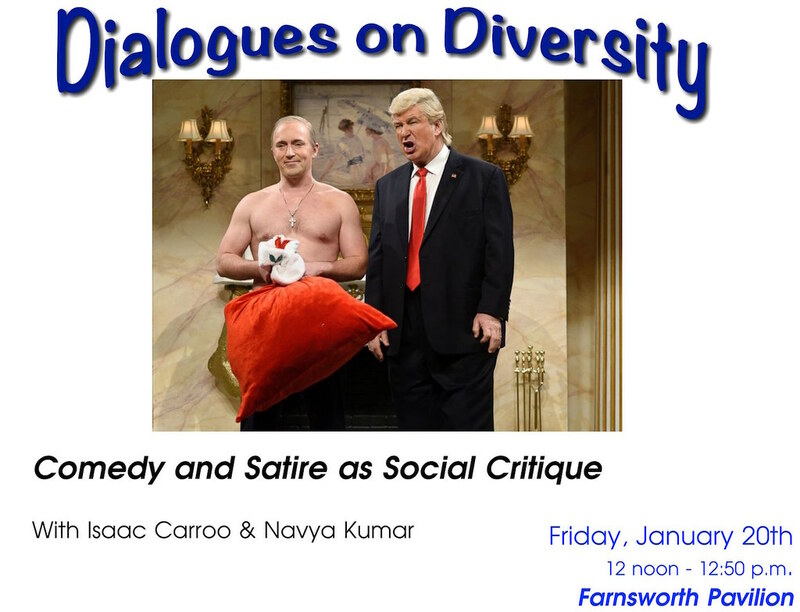 These open, campus-wide discussions are held on Fridays at 12:00 PM in Miner Lounge (unless noted otherwise) and cover variety of cultural and social issues. Facilitators may program in their college and are available to address campus concerns as needed.